A while back a friend forwarded me an Associated Press story about a man in Belarus who was killed by a beaver. The article was full of references to beavers becoming more aggressive in the region. Here's a line from the second paragraph of the story, "It was the most serious in a string of beaver attacks on humans in Belarus, as the rodents have turned increasingly aggressive when confronted by humans after wandering near homes, shops and schools." Really? Are we to believe that beavers are somehow increasing their aggressiveness? Was this what they talked about at the last secret trans-national beaver convention? Let's take just a second to strip away the sensationalist writing style and practice some actual journalism here. The facts in the story speak for themselves once you ignore the reporter's "when beavers attack" angle to the story. A fisherman was driving down the road and saw a beaver. He got out of the car and grabbed the beaver so his friends could get a picture of him with it. Naturally, the freaked-out beaver thinking it was under attack fought back by biting the guy. Tragically, the beaver bit into an artery in the man's leg and he bled to death. I say TRAGICALLY because a tragedy is defined as something horrible that happens that is completely avoidable. The beaver did not aggressively demand to be picked up and then bit the man. If you pick up a wild animal it will usually bite you. People should know better than to try to pick up a wild animal for a photo op. The beaver didn't flag down the car, open the door and attack the man. Beavers are not becoming more aggressive, people are becoming more disconnected with nature and fail to see that there are consequences for their actions. Let's go back to the second paragraph of the article with some emphasis added my be in bold. 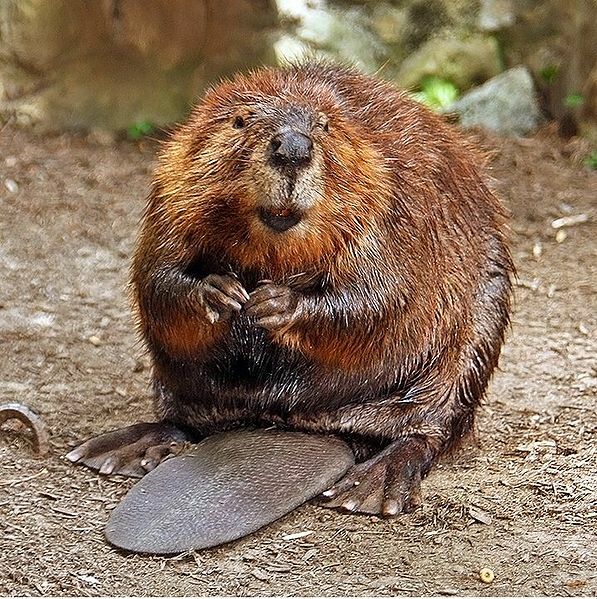 "It was the most serious in a string of beaver attacks on humans in Belarus, as the rodents have turned increasingly aggressive when confronted by humans after wandering near homes, shops and schools." A more accurate version of this sentence would read, "It was the most serious in a string of beaver injuries to humans in Belarus, as humans have turned increasingly aggressive when confronting beavers wandering near homes, shops and schools." Beavers have not suddenly snapped and decided to start attacking humans. They have not mysteriously increased their aggression. It is humans that are becoming increasingly aggressive in their confrontations with beavers and as a result the beavers are reacting by defending themselves like they always have. If you purposeful hit your head against a wall and it hurts should you blame the wall? If the man had failed to wear a life jacket and drown while fishing would there be articles about how the lakes in Belarus are becoming more aggressive and killing people? Let's all be safe out there. Wild animals are wild, treat them with respect. They are not teddy bears, puppies or kittens. If you don't want to be attacked by wildlife, don't try to grab it, harass it, feed it or get too close. A little common sense goes a long way.